Avoid Global Pitfalls for Your Equity Plans! This panel will provide you with some tips and tricks to tackle some of the most challenging issues of operating equity plans globally. Join for a practical discussion with practitioner and issuer perspectives on tax withholding methods globally, challenging country issues such as China and France, setting up sub-plans and recharging equity costs. The panelist will solicit audience participation and look forward to an interesting conversation! To start off 2019 in the spirit of togetherness, we organized our annual winter social on Thursday, February 7, 2019. The hors d’oeuvres and drinks took place in the lively alcove at Perry’s Embarcadero (155 Steuart St, San Francisco) on the waterfront. We had some fun activities kicked off the year with a bang. This year's event featured raffle prizes, including one Issuer Pass to GEO's 20th Annual Conference in Amsterdam, NL for April 10-12, 2019! Also hosted was delectable catered food/wine/beer/beverages. Before 2018 draws to a close and you prepare to update for 2019 compliance changes, we invite you to join our expert equity panelists for a game of Jeopardy where you can test your knowledge of recent global equity updates, evaluate your readiness for upcoming 2019 changes and win prizes! When your program is smaller, the administration is manageable, but how do you make sure your program is scalable? We will discuss building smart so your program grows with your company. Developing and managing an effective grant guideline program is an art and a science. Learn from seasoned professionals about how to design an effective program that can grow with your company, when to make adjustments and leave with the Top Five concerns companies face and how to manage them. 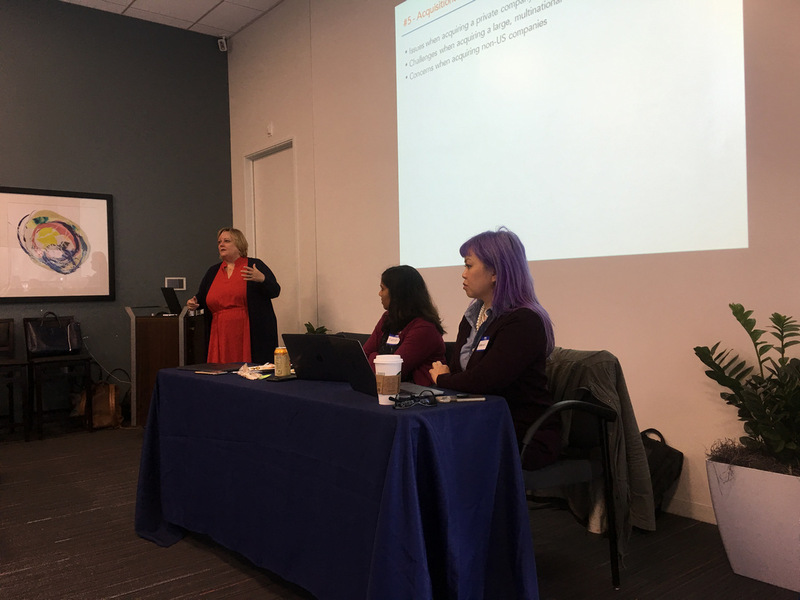 On 14 June 2018, GEO was pleased to host attendees at our 2018 Northern California Forum. Visit the Forum page for more information. To start off 2018 in the spirit of togetherness, we organized our annual winter social on Thursday, February 8, 2018. The hors d’oeuvres and drinks took place in the lively alcove at Perry’s Embarcadero (155 Steuart St, San Francisco) on the waterfront. We had some fun activities planned to kick off the year with a bang. On 05 December 2017, the Northern California GEO Committee was pleased to host our annual holiday party at Xanh Restaurant in Mountain View. Visit the Forum page for more information. The proposed tax reform has the potential to make major changes to the way companies and individuals are taxed. Bill will walk us through the proposed tax reform landscape and the potential impact to executive compensation. We will also review PWC’s recent publication on Stock Compensation 2017 Assumption and Disclosure study providing and analysis of the stock compensation disclosures made through annual reports and other public filings. Beyond accounting, taxes, compliance, and administration are the shadowy worlds of "WIIFM" (What's In It For Me). These worlds include expected value, realizable value, payout versus cost, projected versus real dilution, and much more. This is where the equity compensation professionals of tomorrow will find new challenges, opportunities, and paths for advancement. On 15 June 2017, GEO was pleased to host attendees at our 2017 Northern California Forum. Visit the Forum page for more information. Over 1,336 individuals from 1,142 US public companies participated in to the 2016 Group Five benchmark study on corporate satisfaction with stock plan administrations services and financial reporting. The study measures plan sponsors’ satisfaction with plan administration services, brokerage services, plan administration software, and financial reporting services. In this session Jack Sunday of Group Five shared the findings from the 2016 study. Service providers use the results of this study to validate their own research and incorporate the findings into their planning process. As a result of this session, attendees know what their colleagues are saying about the service they receive from their service provider, what issues are important to them, and how they are influencing their service provider’s strategic plans. By now you have undoubtedly heard or read about the FASB Accounting Standards Update ('ASU') 2016-09, Improvements to Employee Share-Based Payment Accounting, numerous times over the past year. But, now that the rubber meets the road for the vast majority of companies, would you like to hear from your fellow counterparts about their decisions and experience with adopting the new rules? Our three panelists will share first hand which choices their companies made, any consideration of system capabilities, and any post-implementation recommendations for the audience. The 2016 year-end social event was hosted by Hortonworks. Events started at 4:30pm with raffle prizes and catered food/wine/beer/beverages. To better understand participants’ attitudes and perceptions about their company stock plan, Fidelity Stock Plan Services conducted a survey in March and April of 2016. Over 2,100 participants from 140 companies — from both the U.S and outside the U.S. — responded to the survey that focused on loyalty, motivation, comprehension and other perceptions around their equity programs. Join Emily Cervino, CEP, as she plunges in to the inner psyche of participants to share how equity compensation impacts them. You will learn about participant satisfaction and the drivers than can impact it and dive into participant knowledge and top priorities. And, the session will address how the growing Millennial population differs from other generations in the workforce. Together, these findings can help you make your equity programs more effective. The complexity related to mobile employee equity has been well chronicled and the subject of dozens of presentations over the years. Rather than going over old ground, in this presentation our speakers will focus on some of the more advanced but equally important aspects of mobile employee equity compliance, specifically: - tax strategies: balancing compliance and employee experience - payroll execution and common challenges: both US (multi-state income reporting) and international - data collection and tracking - change management - technology implementation challenges and tips The discussion will assumes a basic understanding of the issue and focus on the practical execution. This discussion will be equally relevant to multi-national mobile employee populations and US domestic companies with state mobility. On 9 June 2016, GEO was pleased to host attendees at our 2016 Northern California Forum. Visit the Forum page for more information. One year ago, HP became the largest company to hold a virtual-only annual meeting. Did the technology help transparency, or hinder it? Was HP able to increase engagement while saving money? Above all, was it good corporate governance? We’ll take a quick look at HP’s meeting and investigate other good uses of video annual meetings and quarterly earnings calls. Katie Colendich, Vice President, HP Inc. Cost Basis, 1099-MISC and Tax filings! Suchitra Patri shared insight and information on Cost Basis reporting, 1099-MISC, and Tax Filings. What better way to tackle this year’s Tax Season with good information, a great lunch, and advice from your fellow colleagues! 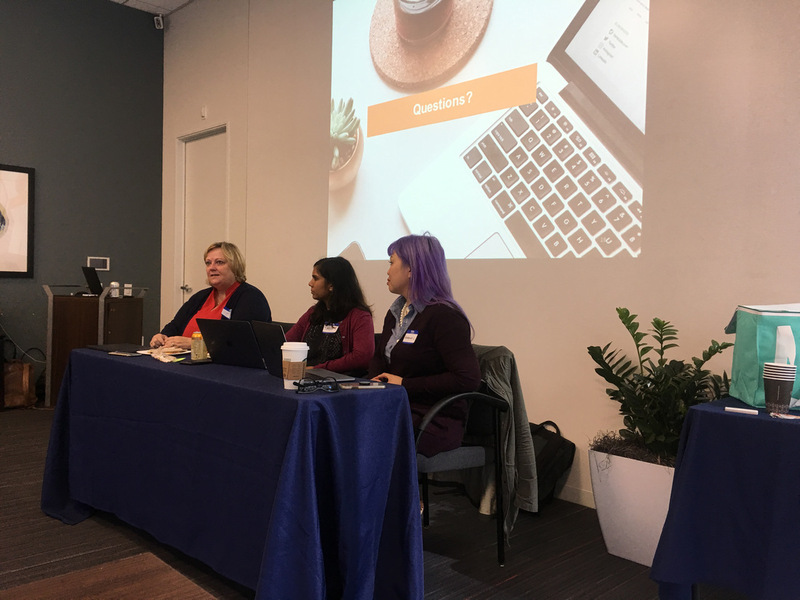 Jennifer George, Director at PwC, shared insight and information on recent trends she is seeing in the marketplace for employee equity plans and the tax and regulatory implications of these trends. She discussed private company trends such as consideration of extending post termination exercise periods, grants of restricted stock units, trends in frequency of 409A valuations and liquidity opportunities. For public companies, she discussed trends in equity award types including continuing trending of more ESPPs and also global expansion of equity awards into more countries. Finally, she commented on a few new developments in the global equity space that companies should be on the lookout for in 2016 including a new European Union Prospectus Directive and new share scheme reporting in Australia. Attendees kicked off the New Year prepared to tackle these changes and be ahead of the curve on recent trends! On 10 December 2015, the Northern California GEO Committee was pleased to host our annual holiday party at HortonWorks in Santa Clara. Visit the Forum page for more information. FASB Proposed Changes on Equity Compensation (maximum tax withholding rates, estimated forfeiture rates and more): What they Mean to You! Brooke Green and Joe McNeal from Radford presented new research on how highly successful companies drive peak performance, including insights on creating a highly engaged workforce and building innovative performance-based equity plans. During the session, attendees learned what business leaders prioritize when they think about retaining key talent, plus what motivates top employees to stay put in today’s incredibly fierce talent market. 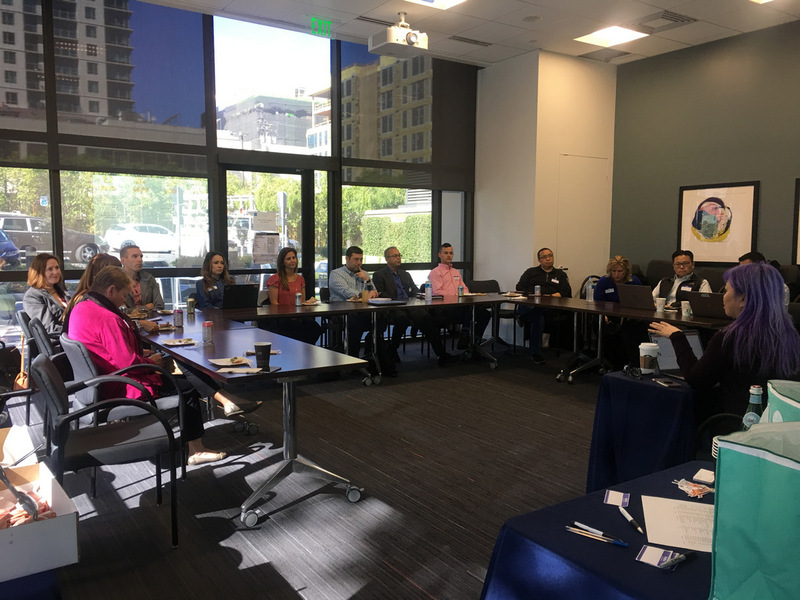 We were excited to kick off the Sacramento Chapter with a GEO sponsored breakfast and a casual round table discussion with Industry Veterans! Brian Kirkpatrick, Marvell Semiconductor Inc.
On 5 March 2015, GEO was pleased to host attendees at our 2015 Northern California Forum. Visit the Forum page for more information. The laws impacting global stock plans change at the speed of light; have you kept up? This popular panel covered key tax and legal changes around the world—as well as enforcement activity that may warrant immediate response—and provided attendees with a clear action plan to address recent changes. This session was intended to get you back up to speed and ensure your global stock plans are still compliant with local country legislation. The 2014 annual holiday social event was hosted by Yahoo! Events started at 4:30pm with raffle prizes and catered food/wine/beer/beverages. Do you have a contentious relationship with year end? Does it make you slam doors, tear your hair out, and drive you to drink? We’ll teach you how to LOVE it because you’ll know how to prepare for it! Let’s find that spring in your step, get your heart fluttering, and put a smile on your face when it comes to planning year end activities for your global equity plans. Whether your company has offered its ESPP globally for years or is considering starting or re-starting an ESPP, in this session the panel took another (and closer) look at global ESPPs. Increasingly, with complex and expensive regulatory obstacles, as well as low participation, companies are more selective in offering their ESPPs around the world. In addition, companies that may have suspended their ESPPs internationally due to compliance, participation and budgetary concerns, are increasingly exploring offering their ESPPs in select countries. We will examine the regulatory challenges of a global ESPP, including the unique issues presented by Section 423 plans. The panelists will share their experiences and best practices for successfully offering ESPPs globally. Key Points: discuss the introduction or re-introduction of ESPPs internationally; examine the regulatory challenges, including the unique issues for Section 423 plans; and explore best practices for a successful global ESPP. The Private Market...its impact on stock plans for both private AND public companies. On 6 March 2014, GEO was pleased to host attendees at our 2014 Northern California Forum. Visit the Forum page for more information. What do you think are the hottest issues equity professionals are facing? Here is your chance to learn more about the topics you think are most interesting. This fun and interactive session is designed just for you… putting the audience in the driver’s seat as two tenured equity compensation professionals offer a rapid fire, audience driven session addressing new (and resurgent) equity compensation hot topics. Do you want to learn more about CEO Pay Ratios? Or, is the increased auditor interest in DTA balances calling to you? 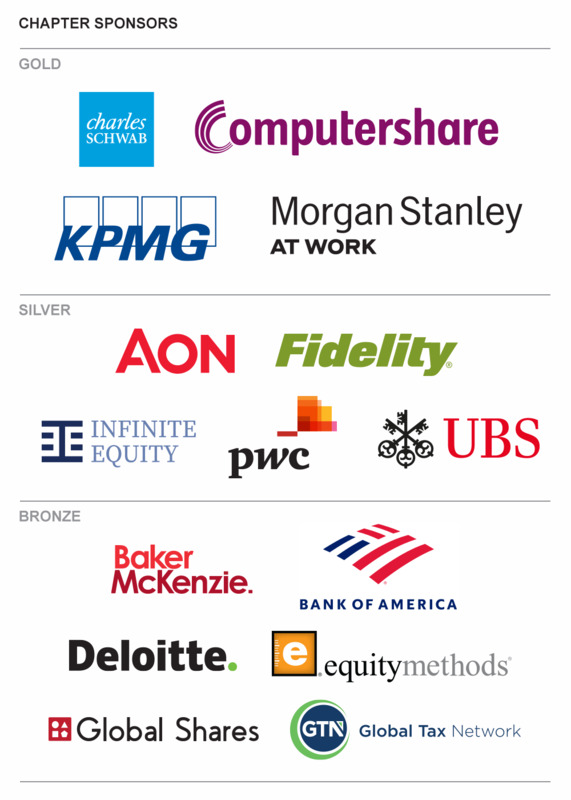 Do you wonder about performance awards’ ability to really pay for corporate performance? Does Cost Basis Legislation or DOMA keep you up at night? Are ownership guidelines or disposition surveys nagging at you? Join this session for an opportunity to dive into these topics and more. Emily Cervino, CEP, Fidelity Stock Plan Services, and Elizabeth Dodge, CEP, Stock & Option Solutions, will present a dashboard of choices, and the audience will drive from topic to topic, providing an insightful and educational session on topics that are important to you. The 2013 annual holiday social event was hosted by Yahoo! Events started at 5:30pm with a Voluntary Gift Exchange at 6:30pm. - Why does a "global" award agreement makes sense? - Where should companies on a budget focus their compliance efforts? - How can I keep track of the tax withholding requirements for equity awards in 40 countries? The discussion assumed a basic understanding of the issue and focus on the practical execution. This discussion was equally relevant to multi-national mobile employee populations and US domestic companies with state mobility. On 18 April 2013, GEO was pleased to host attendees at our 2013 Northern California Forum. Visit the Forum page for more information. With 2012 year-end in the rear view mirror, the rest of 2013 lays ahead and it is sure to be filled with new discussions on equity, as well as a return of dormant issues. Join this session for a rapid fire session of ten things to think about for the rest of 2013. From the impact of tax changes, to insights on participant thoughts on their equity plans, to some of the old favorites with retirement eligibility and 10b5-1, Emily Cervino, CEP, from Fidelity Investments, and Robyn Shutak from the Global Equity Organization, will lead an insightful and educational session on topics that are sure to cross your desk this year.